Whether you just tackled a HIIT workout or completed a 5K, getting there was only half the battle... So if you find yourself at war making it to the gym, inspire yourself with these 15 fitness and exercise tips! Especially if the goal is to tackle a morning workout, have your workout clothes all ready to go and your work clothes laid out for after your sweat session and shower. But if exercising after work, and rather than heading home after work and getting too comfy with that Netflix show you have been sucked into, pack a gym bag and head straight to the gym afterwards. From practicing meal prep to utilizing Balance by bistroMD’s a la cart meal delivery service, having meals ready for the day or week ahead dismisses takes one task of your to-do list, thus granting you the free time to enjoy your workout. And don’t forget to program your pot of coffee for that extra energizing and motivating boost! Press play to a killer workout by making a killer playlist. Fill it with upbeat and motivating songs, along with cranking up the tunes as you get ready for the gym. Eye of the Tiger, anyone? Feeling crunched for time can be extremely discouraging and start antagonizing your will to workout. But instead of feeling as if you must commit endless hours to the gym, simply start squeezing in more movement in the day. Being up and active not only contributes to more active minutes, but can fuel energy and motivation to keep you going! While not all days are rainbows and butterflies beam with workout motivation, remember just why you wanted to embark on this fitness journey in the first place. As if your “why” is not motivating enough, remember how invigorating those post-workout endorphins make you feel. Recalling the energy and happiness following that HIIT workout may just be the push you need to throw on a pair of tennis shoes. 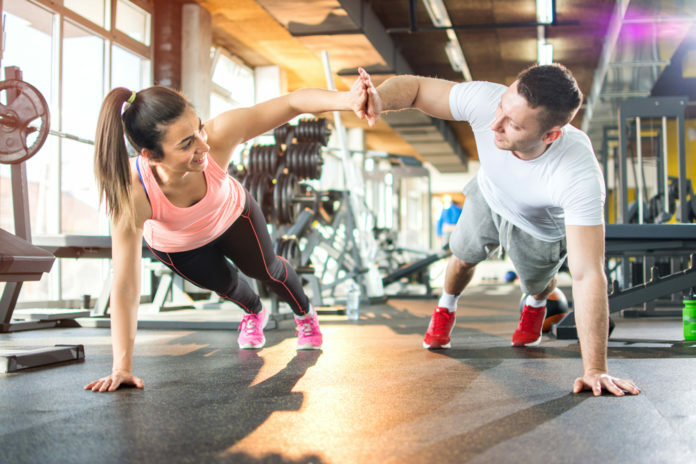 Particularly if new to the gym, hiring a personal trainer can get you started and comfortable, confident, and inspired enough to make it to the gym on an ongoing continuum. Workout buddies are extremely valuable, as being in a group of likeminded people accelerates motivation and keeps you accountable to make it to the gym. Workout with others by joining a community facility, attending regular fitness classes, or confiding in a workout buddy. Nonetheless, workout with people who cheer you on and support and encourage you to challenge yourself. Following a workout, write down how you feel each time. And each time you find it difficult for getting motivated, simply read your notes and remember how great you felt after tackling that HIIT workout at 5:00 in the morning a few weeks back. From taking those notorious before and after pictures to noticing improvements in mood and energy levels, find ongoing fitness motivation by tracking your progress. Wearing a fitness tracker (and keeping it charged) is also a great way to track movement and inspire you to keep active on a daily basis. Sometimes that scheduled boot camp just seems too overpowering after a gloomy day at work. And while your mood may be uplifted after a grueling sweat sesh, it is certainly okay to base workouts on current moods. So if energy is plummeted, allow yourself a refreshing walk or stretching session; but if energy came out of nowhere, tackle those incline hills. Ultimately, do whatever you know will put or keep you in a good mood. There are numerable phone apps to inspire fitness motivation with one click of a button (or tap to the screen). For instance, Nike allows your friends and Olympians to cheer you on from afar, while Zombies, Run! is a fun way to get active whilst becoming a hero amidst a zombie epidemic. Set rewards for yourself, as doing so can keep you motivated throughout the process. 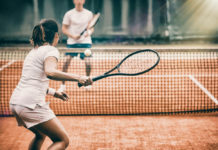 After designating and meeting goals, self-gift that pair of tennis shoes you have been eyeballing, a massage to relax, or anything else you have been eager to do or treat yourself with. From leading a work meeting to managing an event, you are quite the motivated trailblazer! But while you do a lot for others day-in and day-out, start using workouts as “you” time. Exercise should not feel like a chore, and it certainly does not need to be! Relish in the activities you enjoy, fall in love with exercise, and enjoy the fitness journey with an inspired mindset (and rereading these workout and fitness motivation tips as needed)!